Anyway, we started off with a quiz on what we learned yesterday and then got into properties of special parallelograms, trapezoids, and kites. I really like this unit because there’s a lot of fun work you can do, but I know it’s also one of the most difficult for the students because they have to memorize so many properties. I try to give them as much practice as possible. I start with giving them a ton of different practice worksheets. I let them choose three out of five that they need to complete, which gives a mix of quadrilaterals in the coordinate plane, proving different quadrilaterals, and using properties of the quadrilaterals. They can do the ones they want more practice with. I then have a “Two Truths and a Lie” for quadrilaterals (download below). This activity consists of students coming up with three statements about a quadrilateral. Two must be true and the other must be false. The goal is to try to come up with two truths and a lie that will fool the rest of the class. I let them come up with some for a few minutes and then they can share with their classmates. I also let the students share a Two Truths and a Lie about themselves for some extra fun. 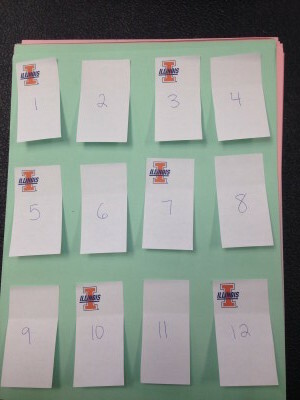 I also have a Rally Coach Activity (download below). Students are in pairs and have a Partner A and Partner B. The students take turns giving some properties and the other student has to figure out which one quadrilateral it is. Similar to Two Truths and a Lie and short and sweet, but it’s more practice. I also did one of my favorite games that I call Deal or No Deal. I got the idea after student teaching from another teacher that graduated with me and it’s always made class fun with very little prep. All you need is a worksheet. You then have some sort of prize (candy, sticker, pride, extra credit, hw pass, etc.) or multiple prizes that is hidden behind a number – I say that they have 12 briefcases and they have to guess which one has the prize in it. Today I had a major and a minor prize. Then the students get to work in groups on their worksheet and try to get through as much as they can. You give students guesses at where the prize is based on how many problems or sections they get done as a group. I had a lengthy review packet that had many different sections. I told them that when the group has two sections done, they get a guess. I do this in groups so that students have more motivation to work (hopefully) and to reinforce group work. 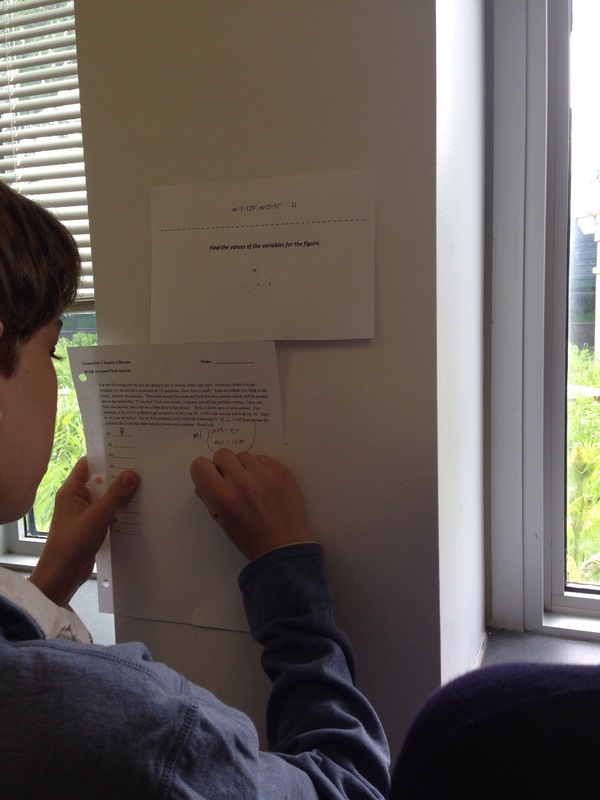 Students are not required, however, to all have the same guesses in the group. For instance, if Mary, John, and Jack have earned 3 guesses for their group, Mary can guess that the prize is in briefcase 1, 2, 3, John can guess 6, 8, 10, and Jack can guess, 3, 4, 5 if they want. What I love about this is that it transforms a worksheet into something fun, and students start to think about which problems/sections would be best for them to solve first. They do some reflecting about their own skills to help them get more guesses, and they also get a little probability in there to see that the more guesses they earn, the better chance they have of guessing correctly. I love that this also takes no prep besides the worksheet. 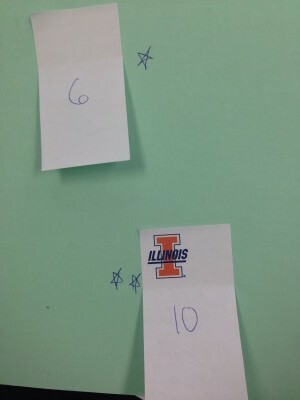 I took post-its and cut them in half and under two of them (6 and 10) put stars for prizes. That’s it! And the class is engaged and begging you to get over to their group to check their sections the whole time. Somehow it also stays engaging every time. Les activités les plus simples sont, quelquefois, les meilleures!